Dana Point events range from rocking music festivals on the beach to surfing competitions. Good times and good vibes can be found nightly at Dana Point bars and music venues. Head to one of our oceanfront resorts for their iconic events like Yappy Hour—a shindig for you and your furry friend. Stroll the Farmers Market on Saturday mornings or take a walk through history at the Dana Point Nature Interpretive Center. 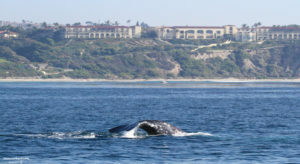 Our signature annual events including the Tall Ships Festival, Ohana Festival, Doheny Blues Festival and Festival of Whales will have you returning to Dana Point year after year. Whether you’re an early bird or a night owl, Dana Point events provide endless opportunities to enjoy yourself. Explore all upcoming events in Dana Point.